As members of the baby boomer generation continue to reach retirement age, the impacts on senior living are vast. This large generation tends to be more active and more independent than their predecessors. They are wealthier and have more demand for modern comforts and conveniences. Medical advancements and healthier lifestyles are leading to increased life expectancy. 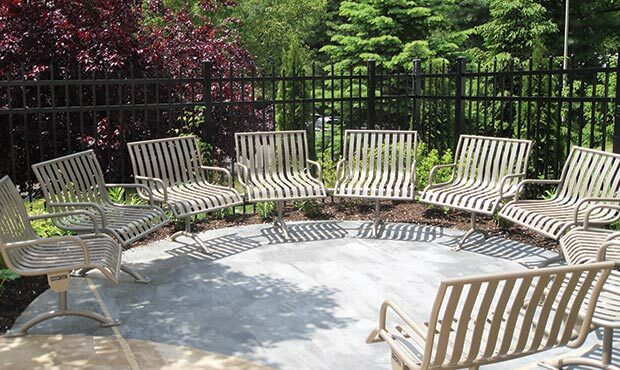 To accommodate the aging population, retirement communities, senior apartments and assisted-living construction is on the rise and further thought is going into amenities and outdoor spaces that encourage their wellbeing. What does that mean for site furniture? Below are some thoughts to consider when planning areas for the use and care of senior citizens. Increasingly, older adults want to maintain an active lifestyle and continue to enjoy the outdoors whether it’s playing pickleball or enjoying an evening stroll. Walking trails - Benches need to be installed frequently along trails and walking paths to provide comfortable places to stop and rest. 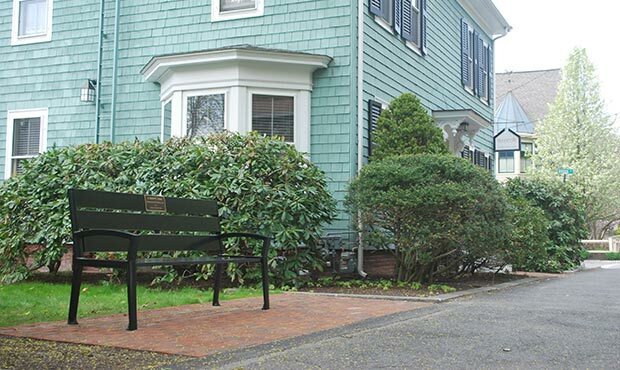 A great example of this involves a customized Keystone Ridge Designs’ Everett bench at Manchester-By-The-Sea. Learn more at The Longevity Bench website. Biking - An active retirement community can promote a biker-friendly neighborhood with safe, well-paved biking paths and the addition of bike racks throughout the common areas. Healing gardens - In long-term care facilities, therapeutic outdoor gardens are not just about flowers and landscaping, but can be functional sanctuaries for residents to use. Providing appropriate seating with benches and table sets encourages the enjoyment and healing effects of nature in a relaxed setting. Senior facilities and age-friendly communities need to recognize the varying stages of life and the diverse physical capabilities of its residents. The environment needs to be flexible, offering many features and choices for residents to feel engaged, social and at home. Seating - Public seating is key to facilitate social interaction. Offer a combination of single and multiple seating in groups as well as in private secluded settings. 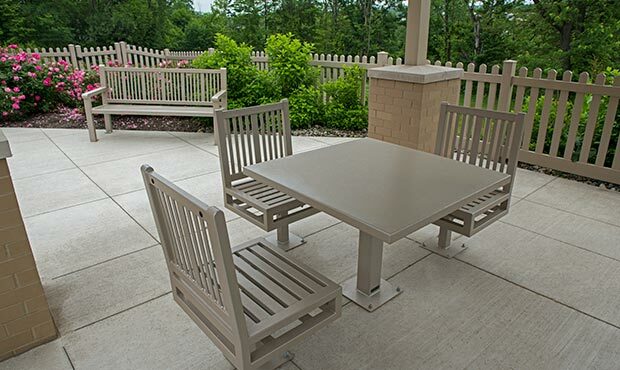 Groupings of table sets are ideal for outdoor dining among friends. 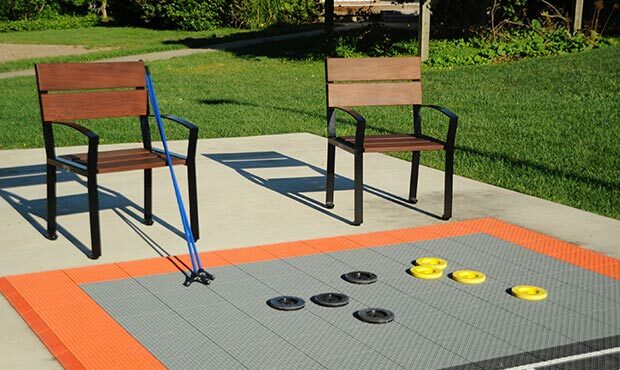 When using movable chairs, they need to be lightweight and easy to slide. Be sure that all tables have wheelchair accessible options readily available. Shade - Create areas that allow residents to choose sitting in the sun or the shade. Including umbrellas with tables can easily provide small islands of shelter from the sun. 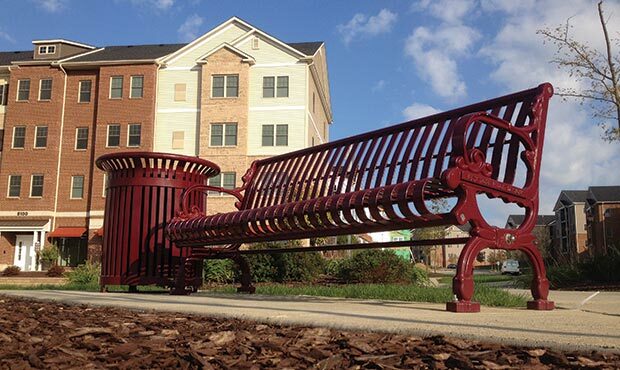 Fun and games - Along with athletic fields and sports courts, include benches and sturdy chairs for spectators. Table sets can also be used for bingo or impromptu card games. Define table function further by customizing a game table top for chess or backgammon. Appearance - Obviously the better a setting looks, the more inviting it is. Strategically-placed litter receptacles help to promote a clean environment. They should be easily accessible and within short walking distances. Durability - First and foremost, you need furnishings to be strong and durable with no risk of breaking. Fully-welded steel products offer structural integrity that will not fail or buckle under weight. 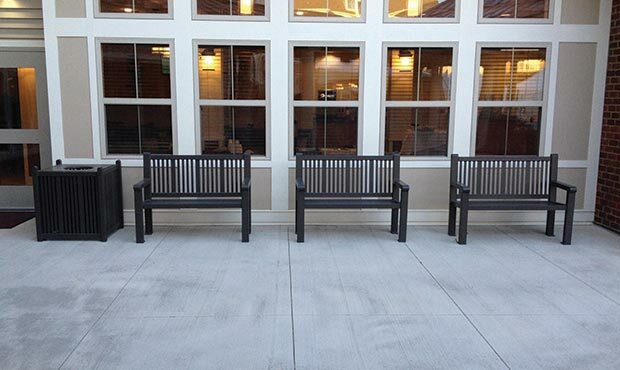 Seating with armrests - The Reading and Schenley benches from Keystone Ridge Designs are common choices for senior facilities because of their wide armrests. The wider arms and especially additional arms in the center of the bench allow somebody to easily lower themselves down or get up out of the seated position. Secure furnishings - When possible, furnishings should be bolted down to prevent any risk of rocking or tipping. The less moving parts the better. When you are involved in the design, construction and maintenance of senior housing, planning for retirement takes on a whole new meaning outside of investing in your 401K. As more and more baby boomers hit retirement age, you need to plan for senior-friendly open spaces, therapy gardens and recreation facilities that have appropriate site furnishings to meet their unique and diverse needs.